Yet another person falls victim to the unethical behavior of Dallas Congresswoman Eddie Bernice Johnson as an executive with DFW Airport is suspended amid questions of a scholarship Johnson gave to his daughter according to the Dallas Morning News (DMN) today (10-13-10). The $1000 scholarship was given to the daughter of DFW Airport Vice President Don O'Bannon who oversees contracts with minority-owned businesses. 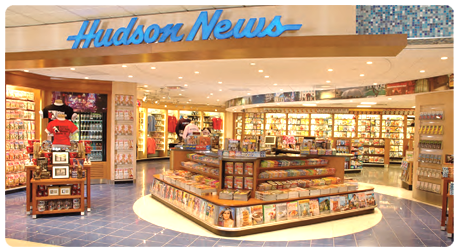 The DMN reports that Ms. Johnson is a 25 percent owner of two Hudson News stores (through a trust) located in the DFW airport complex. 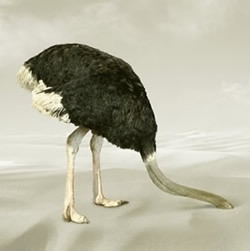 So, let me get this straight... Ms. Johnson not only doesn't seem to understand that it is unethical to take scholarship money and give it away to family members of her and her staff, which is clearly against the rules of the Congressional Black Caucus; it now appears she doesn't understand it is unethical in her position as a CONGRESSWOMAN, to give a $1,000 scholarship to a government official who oversees operations that benefit a business that she is a part owner in (through a trust). Even the attorney for Ms. Johnson's "trust" (it's juse becoming hard to use that word in the same sentence with her name) said the award makes him uncomfortable. Who thinks Ms. Johnson needs to get a scholarship to study Ethics 101? Is this not bribery or payola? It certainly smacks of cronyism. Who thinks she needs to resign from her office as a "trusted public official"? Who thinks she needs to go to jail? O'bannon told the DMN "That matter is currently under review at the airport, and at this point I'm really not in a position to make a comment about it. I'll be more than happy to discuss it with you once the process is complete." In a surprise announcement Ms. Johnson's spokesperson Dena Craig said, "We aren't commenting on the scholarships anymore." Can't say I blame you for that one. Betty Culbreath, a longtime member of the airport board, said O'Bannon has had direct responsibility for vetting minority- and women-owned business enterprises seeking airport contracts. He was placed on paid leave Thursday. "I can't speak to the specific case, but any employee who has a relationship with a vendor, it gives me pause," she said. She said the board "absolutely did not know anything" about the scholarship, but should have been told, given O'Bannon's role overseeing Hudson News' concession. "It would have been material information, looking at anything that might even have the appearance of being inappropriate," she said. Earl Bentley, who has operated Johnson's trust since 1993, said he learned of the scholarship Tuesday night on WFAA-TV (Channel 8). "I would be a lot more comfortable if it had not occurred. It puts me in an awkward position because I am the person who is responsible for that business, and anything that touches that business touches me," he said. "If there's a business connection, it's clearly inappropriate," said Melanie Sloan, executive director of Citizens for Responsibility and Ethics in Washington. Ms. Sloan, we couldn't agree more. Contribute today to the campaign of Pastor Stephen Broden to help fire Congresswoman Johnson for her unethical behavior!